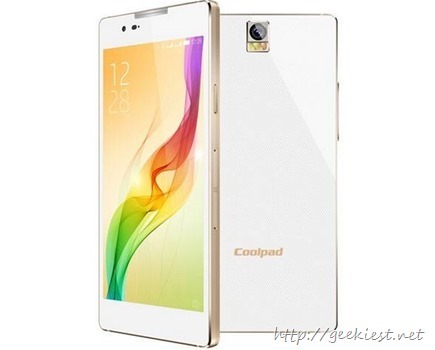 Coolpad Group Limited is a Chinese telecommunications equipment company headquartered in Shenzhen. 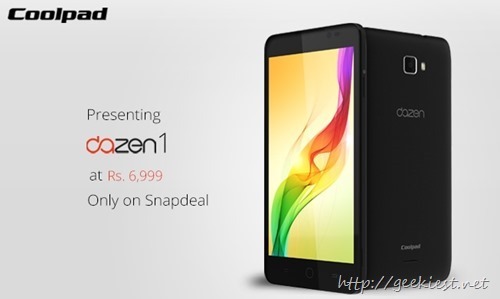 The company is entering into the Indian market with two Phones, Dazen 1 and Dazen X7. Dazen 1 is an Android phone with 5 inch HD display, 1280x720 pixel resolution and powered by 1.2 Ghz Quad core Processor (Qualcomm Snapdragon 410) and 2GB of RAM. The phone will have 8GB of internal memory and expandable up to 32 GB using memory card. Phone supports a 8 megapixel rear camera with LED flash and 5 Mp front camera. The battery of the phone will have a capacity of 2500mAh. Dazen 1 supports Dual SIM with 3G, 4G LTE and Dual Standby. The phone will be available on the online shopping website SnapDeal. Dazen 1 will be available for a price of INR 6,999, another phone to the INR 7000 category. Coolpad Dazen X7 is a dual SIM Android phone having a bigger price and more features than the Dazen 1. It features a 5.2 inch display with AMOLED 1080P resolution display and powered with 1.7Ghz Mediatek octa core processor. It will have 3GB of RAM and 16Gb of internal memory. 13 Megapixel Rear camera with Sony IMX 214 sensor, 6P lens and dual LED flash will be the primary camera while front camera will be a 8MP one with wide angle lens. Dazen X7 will have a 2700mAh battery. It supports 3G, 4G LTE connectivity. The price of the phone will be INR 17,999. Buy products worth INR 500 or above and get Amazon gift card worth INR 200 for FREE.